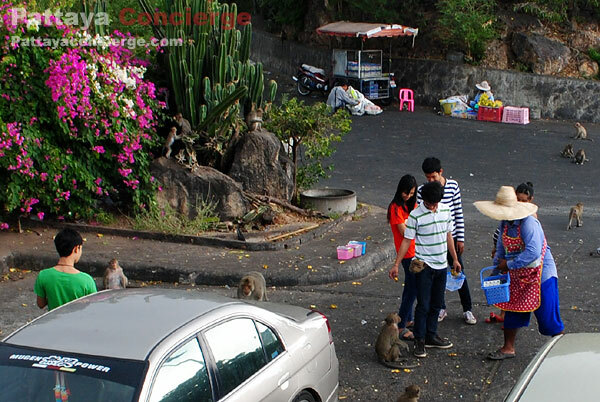 Sammuk Hill is a great view point of Bangsaen for seeing good Bangsaen view from the hilltop and around the hill. The hill is also a famous place to make worship since there is a Chinese shrine, called “San Chao Mae Sammuk”.Each day, a number of visitors come to visit this hill for either worship or seeing view. 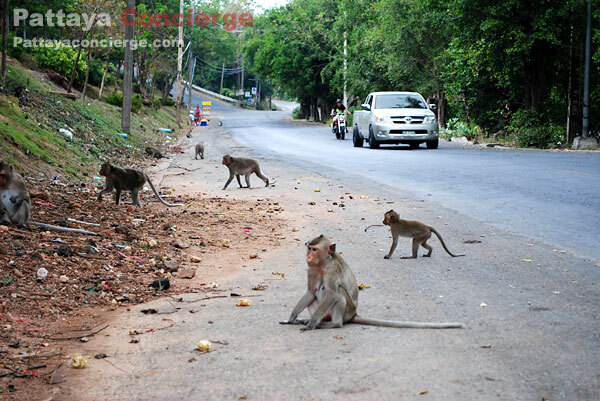 This is why it can also be an interesting attraction in Bangsaen. It is located next to Laemtan Bangsaen. Sammuk Hill is not too high, nor steep. On the top of the hill is nothing much to see besides a good view and monkeys. There are many groups of monkeys. Visitors would have seen them since entering from the entrance of Sammuk Hill. Monkeys on this hill have lived there for long time like their home. Although they look so cute and harmless that visitors can closely feed them bananas, please do not pet or try to hold them because wild-monkeys could hurt you anytime. Note, you must keep your stuffs such as a bag, a camera or food away from the monkeys because sometimes they will steal your stuffs to look for food. Besides monkeys and view on the hilltop, there is a famous Summuk Chinese Shrine on the road around the hill. Both local people and visitors always come to worship and make merit for their good life. The name of hill, Sammuk Hill, comes from an old love story. The story has been told that there are a lady and a man were in love with each other, but in the end a lady had broken heart and then she jumped out from the cliff to kill herself. After that, Chinese Shrine was built nearby to dedicate to her love and given name to these places after hers (the lady named Sammuk). Next to Sammuk Chinese Shrine is a nice and clean place for hanging out and enjoy relaxing activities. For example, some people sit there to see sunset or fishing from the cliff; some of them ride bicycle or running up hill for exercise. 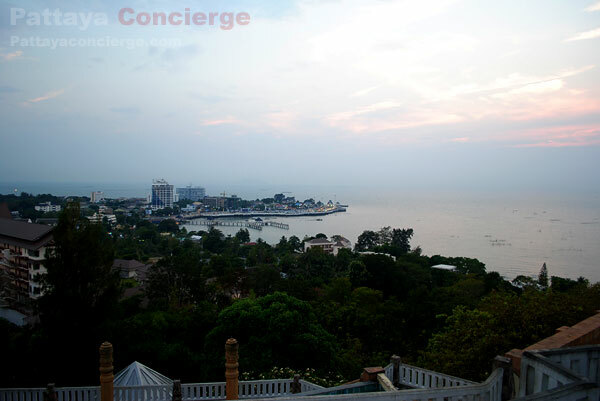 Sammuk Hill is located between Bangsaen beach and Angsila. Unfortunately, this area does not have public transportation yet. 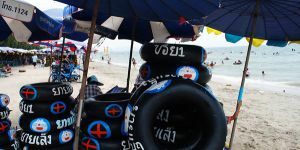 Visitors might need to hire a red Songthaew (Baht bus) or rent bicycle from Bangsaen beach to get there. Far from here about: 1.5 km. 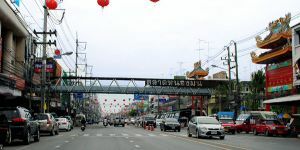 Bangsaen Walking Street is one of most popular shopping area in Bangsaen. 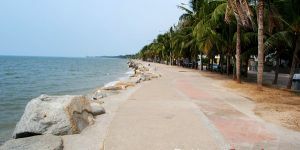 In 2009, it has been introduced by administrators in Bangsaen city in order to be an attractive spot for tourists and be also a new business area for Bangsaen people. Successful Bangsaen walking street come from variety leisure activities and a wide range of products offered. Far from here about: 1.6 km. 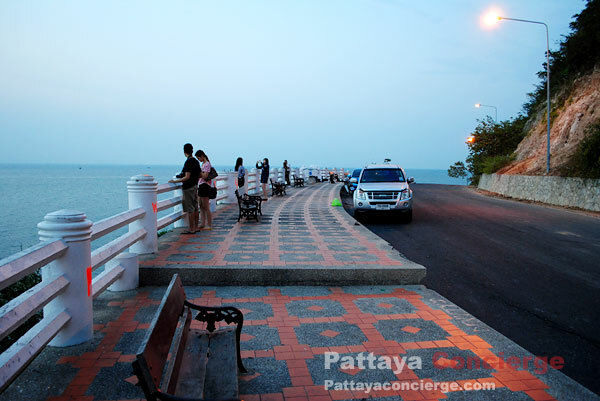 Laemtan is either a relaxing place and a view point of Bangsaen. 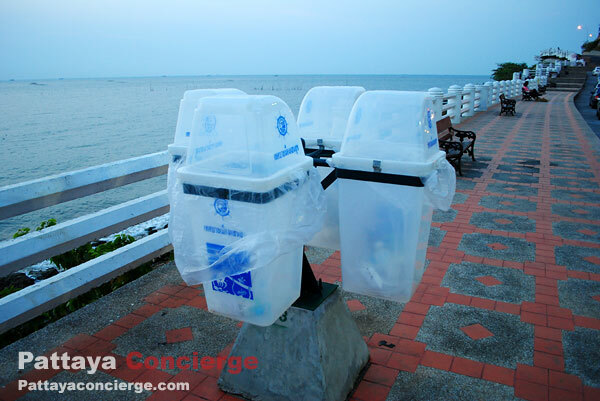 This place is located next to Bangsaen Beach. 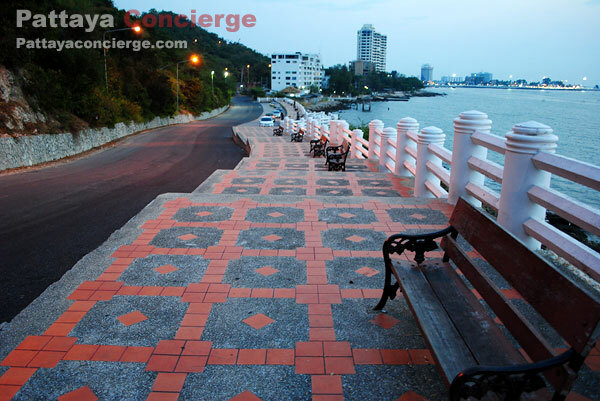 At the day time, Laemtan is a space for seeing the view of seawater and Sammuk hill. 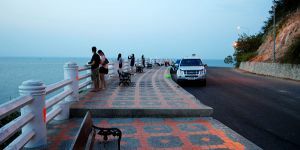 At night,on the other hand, it becomes a popular place for people to enjoy relaxing activities, such as laying down for earning gentle sea breeze, playing the guitar and take something to eat here. It is really popular at night, in other words. Saensuk Temple can be seen as one of interesting places in Bangsaen. Tourists often come here to see unique style of various statues in the temple, since there are more than a hundred statues here. Most of staues related to Buddism, and some of the statues also deliver a sense of humor. For those who would like to see something more than relaxing at the beach, this temple can be a good choice for them. 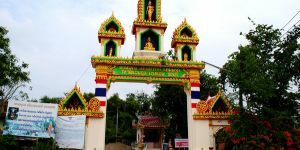 This temple is also located not far from bangsaen Beach. 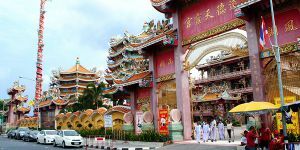 Naja Chinese Shrine (Najasataisue Chinese Shrine) can be seen as a beautiful attraction presenting Chinese architecture. A lot of both local residence and visitors also go to this shire for making merit by respecting Chinese God, especially the celestial named Naja. Nowadays, there are even tourists from westerns visiting this place. Naja Chinese shrine is located in Angsila's area. Far from here about: 3.4 km. 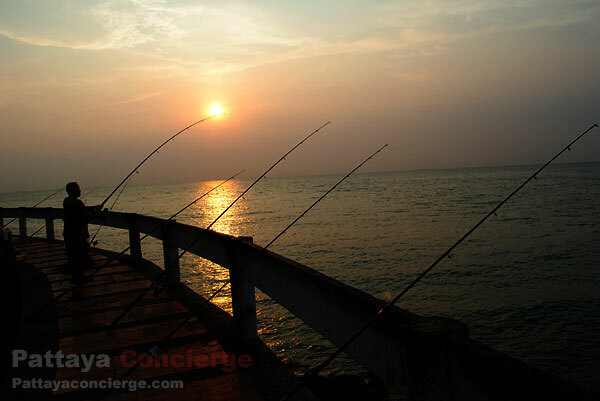 Angsila is a place located between Bangsaen beach and Chonburi city. It is another place that can attract a ton of customers to visit. The reasons why tourist prefer to get there because there are a variety of souvenirs sold, especially products made by stone. The stone products here are high quality, compared to other places in Thailand. Apart from stone products, Angsila also has a famous seafood market, where people can buy fresh-seafood materials there. Far from here about: 3.6 km. Far from here about: 5.3 km. 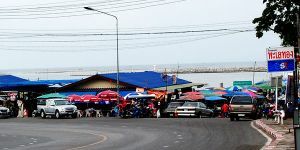 Nongmon Market is one of most popular places in Chonburi because there are a lot of dried-food products available in the market. Nongmon can even be seen as the oldest dried-food markets close to Bangsaen. With the location next to Sukhumvit Road, the market becomes well-known for tourists who come to Bangsaen or go to provinces on the east of Thailand. Wangmuk Restaurant is a famous restaurant in the area of Sammuk Hill. Although its atmosphere is just fine, the restaurant is usually so crowded at noon and evening. 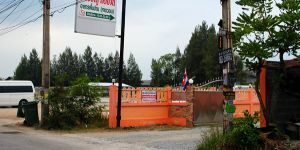 This is because Wangmuk offers delicious seafood with reasonable price, and it is also situated close to Sammuk Chinese Shrine, where it is a popular place for Chinese and Thai people to respect to the angle. 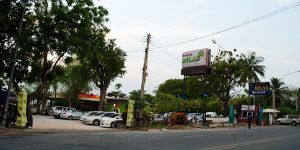 The location of this restaurant is in Sammuk Hill area. Had Sai Relax Pub and Restaurant (or 'Relax' for short) is a nice decorated place in pub and restaurant style by the beach. It is an excellent choice for relaxing in the evening and night time, when you want to take a break after a long day, meeting of close friends or hanging out with your love one. 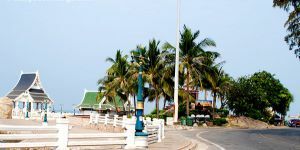 This restaurant can also be seen as a romantic atmosphere in Bangsaen since it is located near Bangsaen Beach and Sammuk Hill. Far from here about: 1.2 km. 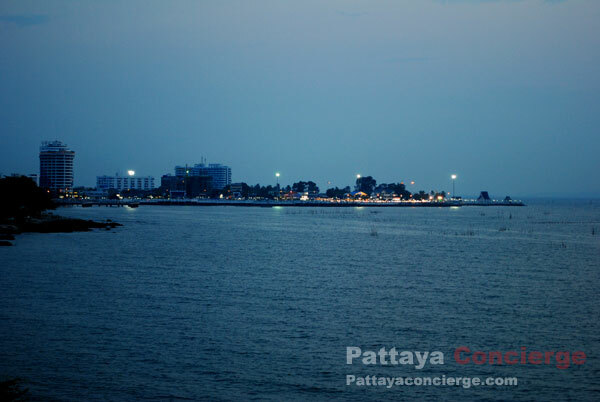 Pakarung Restaurant is the best panoramic view seafood restaurant in Laemtan, Bangsaen. 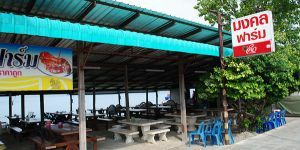 Although its food price seems a little higher than other restaurants around the beach, the atmosphere here is outstanding because it is situated next to the sea. Pakarung is also considered as a perfect place for having dinner and watching the sun slightly falling down to the horizontal line in the same time. It is also easy to get there because it is just right next to Laemtan roundabout on the right side. Mongkhol Farm Restaurant is one of recommend restaurants by a number of visitors. 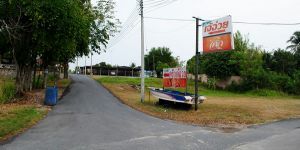 Although, nowadays, there are many seafood restaurants along Bangsaen-Angsila Road, Mongkhol Farm seems to be the most popular one in the area. One of the reasons for getting lots of customers every day is not only deliciousness and fresh seafood but also inexpensive prices. Jae Auay Restaurant is one of most well-known seafood restaurants in Ang-Sila area. The restaurant is always packed with customers because of quality and inexpensive price of food. 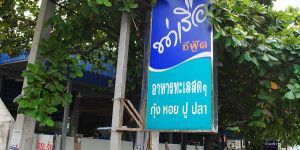 This is why the name of restaurant is always on the list of many customers, even though it is not close to Bangsaen beach. Also, even when having a lot of customers, the food is still quick served. This restaurant is situated in Angsila area. Tha Rua Seafood Restaurant has become well-known in Angsila area for a long time. Although its price is a little higher than other restaurants in the area, it is still one of a good choice for having a seafood meal. Fresh materials for cooking and deliciousness are the reason why lots on customers come to this restaurant. 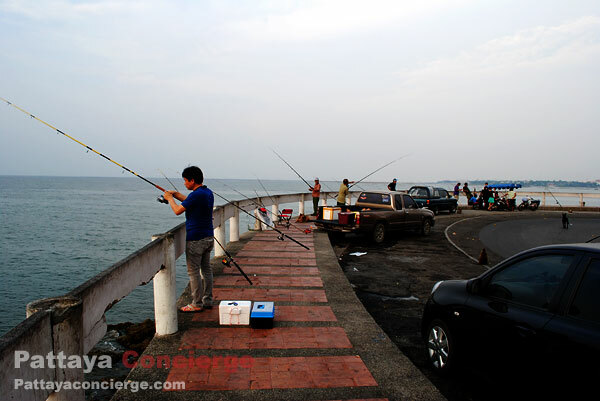 This restaurant is not difficult to find because it is pretty close to Angsila jetty, the fresh market in Chonburi. Krua Ton Kaw Restaurant is an outstanding restaurant in Wonnapha Beach (or Had Won). 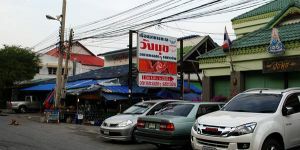 It is quite different from many restaurants in Bangsaen because this restaurant offers local food as the main dishes. Though, there are seafood menus in the restaurants as well. The atmosphere of this restaurant is great because it is a beachfront restaurant decorated with many trees. Krua Ton Khaw has currently become a favorite place for many customers even for foreigners. Perhaps, having a meal under the trees can feel as comfortable as sitting in their own backyard. 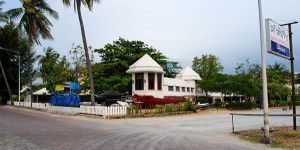 The location of the restaurant is almost at the end of Wonnapha Beach. Krua Pla Too Restaurant is opened more than five years. It is well known for the local people in the neighborhood. Local seafood dishes are the main serve for this restaurant. Most of customers are students, teachers, office workers and people live nearby because of good taste, reasonable price, and close to Burapha University. In addition, Krua Pla Too Restaurant is regular charged for rice and drink, not over-charged as some famous other restaurants. 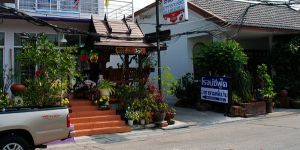 The location of this restaurant is Natedee Soi 5, behind University. 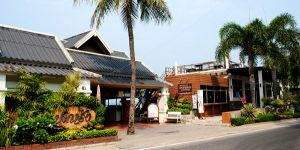 Roj Seafood Restaurant is one of famous restaurants around the Burapha University area (Bangsaen). Although there are many choices of seafood restaurants around there, this restaurant is recognized as a great choice of students, teachers and office workers around university because it is well-known for low-priced and tasty food. The location is at the road behind the university.